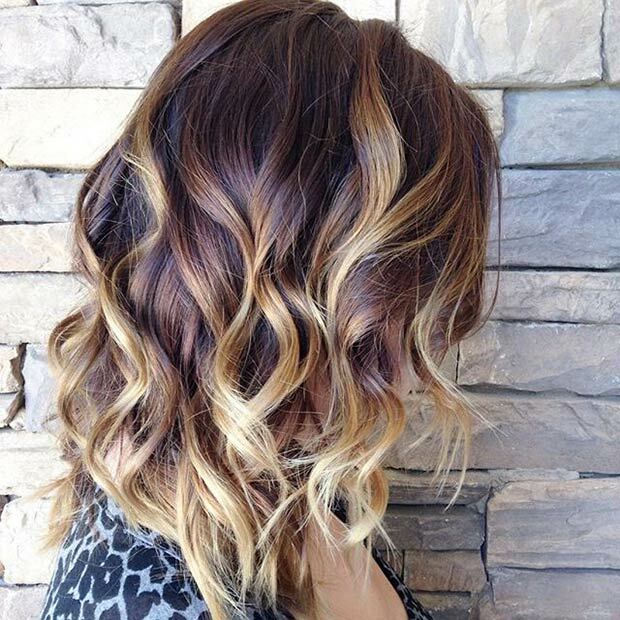 Have a look at have long simple layers which have a brown root throughout and blonde tones that fade right into a deep chestnut brown. This color combination is ideal for transitioning into the fall season. If you’re feeling edgy rock this look like a shoulder length blunt cut instead.